Wouldn’t it be amazing if there was an organization that can help nonprofits with free digital marketing advice? Yes, it would be and I know of one that does just that! I’m so excited to introduce you to a nonprofit that gives back to nonprofits. 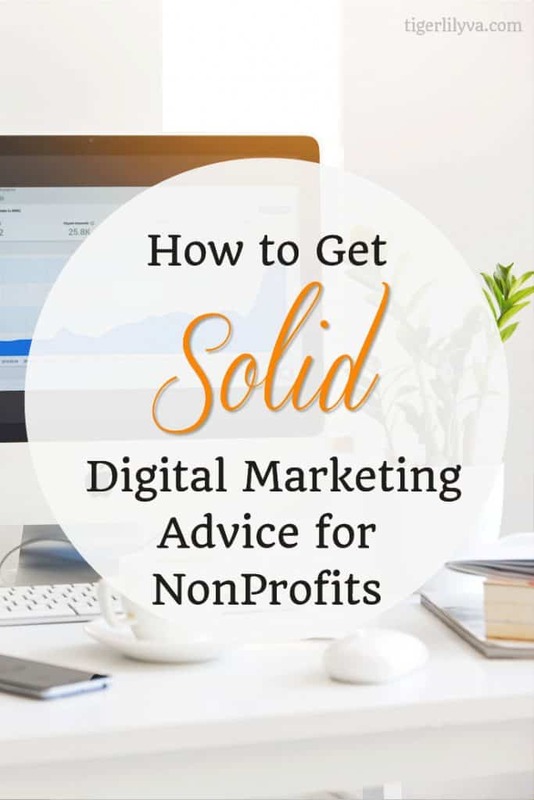 Sometimes nonprofits start with a website and a mission but they’re not sure how to get their digital marketing to work or wonder how they can improve their website. Online marketing can get overwhelming and a nonprofit needs to get the word out to their audience in the most efficient way. Getting advice from digital marketers and web designers cost money and most nonprofits starting out just don’t have the funds. To be able to ask the questions that you need answers to in a professional online setting is an awesome experience, especially knowing that the digital marketing professionals offering up suggestions are volunteers and devoted to helping you. Let me introduce you to Raul Tiru from GlobalOwls. I had the pleasure of interviewing him to get the details on GlobalOwls. What is GlobalOwl’s brand mission? To empower organizations dedicated to doing good to increase their impact. To envision a world where all NGOs, nonprofits, charities and social enterprises receive the guidance, the knowledge, and tools they need to increase their impacts on their communities. Founder Raul Tiru had a long-running dream to start a charity. At the age of 25, he started looking for ways to add significant value to the current NGO sector. Due to his background in marketing, he thought that he could start by assisting charities and NGOs with their marketing strategy and had a plan to start a pro-bono marketing firm to help these great organizations. It was Raul’s experience at a start-up company, a platform, and his contributions to the book ‘Platform Scale’ that inspired him to grow his original idea of a pro-bono marketing firm into something bigger. He wanted to give free advice but also wanted to develop a platform where thousands of professionals could share their expertise with hundreds of charitable organizations across the globe and have a much bigger impact. Thus, GlobalOwls was born. Raul is happy to be able to say that they’re playing the infinite game. They don’t have any time or financial pressure from anyone. What’s your goal number of clients/organizations to serve? To have a significant impact, we would love to see 1,000 marketers and designers helping 1,000 organizations committed to doing good. To accomplish that goal. we need to learn everything there is to know about our target audiences. That’s the stage we’re in now. How do you make sure marketers and designers are qualified to help? We’ve decided to start with a narrow group of professionals, marketers, and designers so that the group would be able to decide which piece of advice are good and which aren’t. We started with this group because I’m also a marketer, so I could do the initial curation. How many clients/organizations have you served? About 20. It depends how you look at it. We also do a lot of work behind the scenes. Here’s an example of a question you can find on GlobalOwls. How many professional volunteers help with your mission? If organizations need your help, how can they get started? The easiest way is to send an email to hi@globalowls.com. We want to make sure organizations are committed to implementing pieces of advice before publishing the questions on GlobalOwls. If people want to volunteer their marketing and design advice, how can they get started? We’ve made it easy for people to get started within 2 minutes. Just head over to GlobalOwls.com, select your first question and answer it. Every question you answer helps a nonprofit, charity or social enterprise to become more effective. I think knowledge is the ultimate power. My big goal is to have thousands of organizations or professionals on board. I think scaling will be fairly easy, once we truly understand the needs of our target group. We hope to learn everything there is to know about them and to provide what’s needed. And maybe, we’ll also be able to scale significantly this year. Time will tell! GlobalOwls will leave her footprints. No matter how long it takes. GlobalOwls will not disappear any time soon. Do you feel that creating GlobalOwls helps satisfy you on a spiritual or purposeful level? Essentially, you’re impacting non-profits that do good in some sort of way. Is there a sort peacefulness or satisfaction you feel by having GlobalOwls as a counselor or mentor to these organizations? It sure does help me feel more fulfilled. I work about 45 hours a week on my regular day job (If you include traveling, that would be more than 55 hours a week). Still, I have more than enough energy to pursue my dream of helping billions of people. Even without GlobalOwls getting the traction we envision (helping 1,000 organizations a month) we can still have a major impact over the years because we provide guidance so organizations can become more effective in the long-term. Do you have a nonprofit that needs help digital marketing and web design? I’m so thrilled to see this nonprofit help other nonprofits! 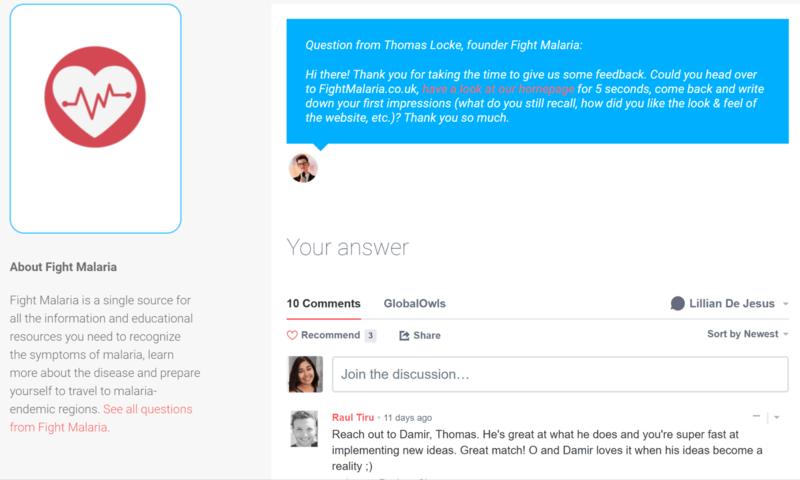 It’s so easy to volunteer that I’ve already started giving advice on GlobalOwls. If you’re in marketing or design and would like to contribute to a good cause in just a matter of minutes you can help. Visit GlobalOwls and volunteer your advice. If you have a nonprofit and you’re not sure if your website is working to get the attention of your target audience or you have questions about your social media platforms, then feel free to contact GlobalOwls to get your questions answered. Let me know if you plan on volunteering or will ask for some help through GlobalOwls in the comments. Thank you for the interview! I’m excited to share GlobalOwls with everyone. Looking forward to seeing much success! I just thought of a friend and stopped to pass this on to her. What an incredible idea. I’m so glad that you’ve written about it. Good luck to GlobalOwls. An amazing concept. That’s great! So happy you passed the information along. I’m very excited for GlobalOwls! Thank you for the kind words and for passing the information to your friend, BG. Thanks Sunil! I’m happy it was helpful to you. Nice post. Thanks for sharing the post. Keep doing the good work. Thank you so much, Rudraksh. We will continue with all our energy and passion! Thanks Rudraksh! I appreciate you stopping by and reading the post. Yes, it is a great way to work for a non-profit. Thanks Raul! I haven’t been feeling well lately. I’ll be sure to check in on GlobalOwls. My pleasure Kyla! Thanks for stopping by. Thank you for sharing your experience with us. It is really helpful to me.